Barry Kolodychuk with the Freshwater Fisheries Society of B.C. restocks Rice Lake in North Vancouver. Each spring, the gates open in federal hatchery facilities in British Columbia and about 295 million salmon are released in an attempt to restore stocks damaged by dams, resource development and overfishing. But each fall, except for rare exceptions, there are poor returns. This year, so few sockeye came back to the Fraser River – about 650,000 fish instead of the 2.2 million expected – that widespread fishing closings were imposed. Coastwide, the abundance of the six Pacific species (coho, chum, chinook, pink, sockeye and steelhead) fluctuates widely over time, but the trend over the past 30 years is down. This is occurring despite the best efforts of the Salmonid Enhancement Program (SEP). Since the program was launched by the Department of Fisheries and Oceans (DFO) in 1977, more than $1-billion has been spent helping salmon spawn in 23 major hatcheries, in artificial spawning channels and in a number of small community-based hatcheries. Although scientists generally blame poor ocean survival for the low returns, increasingly questions are being asked about whether hatcheries, once seen as a miraculous technological fix, could be part of the problem. 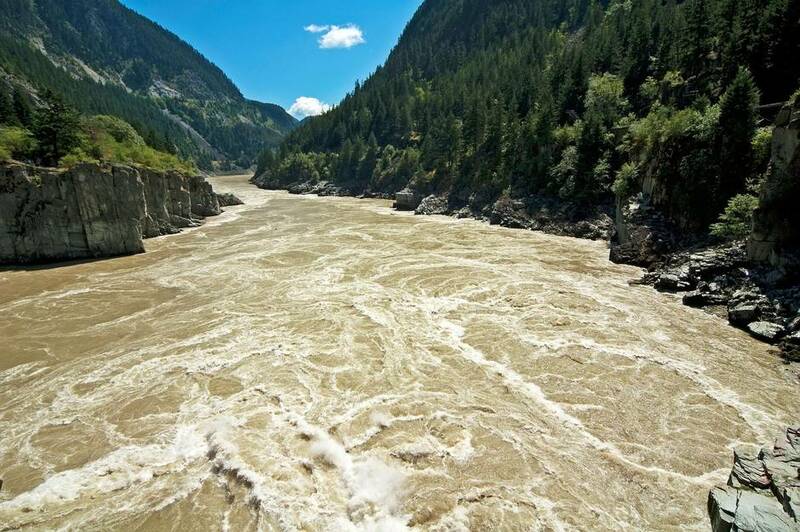 "It's hard to have a single answer to whether hatcheries are good or bad," said Aaron Hill, executive director of British Columbia's Watershed Watch Salmon Society. "They are definitely necessary in situations where you are trying to save a run of fish from becoming extinct … But we are certainly guilty of overusing hatcheries in B.C. and not using them in the most responsible manner." In the United States, where $15-billion (U.S.) has been spent since 1978 in a failed effort to restore salmon runs in the Columbia River, Portland's leading newspaper, The Oregonian, questioned the role of hatcheries, asking in an editorial this spring: "Is the world's most ambitious wildlife recovery plan doomed?" Hatcheries became beacons of hope because they are remarkably productive, with a 75-per-cent survival rate from egg to smolt. In the wild, only 4 per cent survive that life-stage transition. But the growing fear is that hatcheries are producing fish that are genetically inferior, which more easily perish at sea. Those concerns about genetic change were highlighted this year by a U.S. study showing that after just one generation, hatchery-raised steelhead differed from their wild relatives in more than 700 genes. "This new study builds on a mountain of scientific evidence that hatcheries pose a number of risks to wild salmon, including the genetic risk," said Mr. Hill, whose non-profit organization is dedicated to the restoration of wild salmon in British Columbia. "I think when a lot of these hatcheries were built back in the seventies, we didn't know how detrimental these operations could be to our wild salmon populations," he said. "Decades later, we now have a really good idea." But it's not a black and white issue. 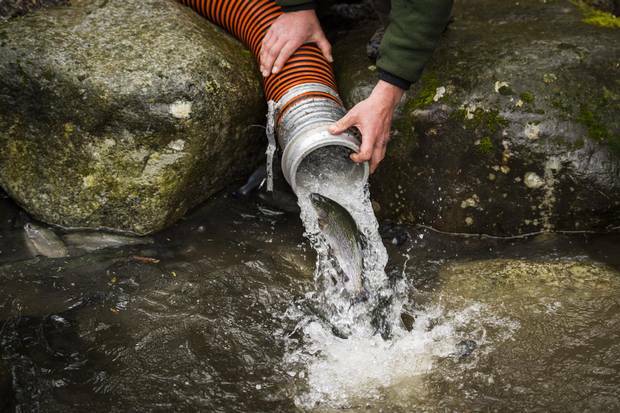 In some cases, streams have been brought back to life by hatcheries after wild salmon stocks were extirpated by overfishing or environmental damage. For example, in Nile Creek on Vancouver Island, a small stream where a run of pink salmon had vanished was dramatically restored by a small community-operated hatchery. But Mr. Hill said when large numbers of hatchery fish flood the environment, they out-compete small runs of wild fish for a limited food supply. Wild fish are also accidentally killed when they mingle with hatchery fish, which are the focus of commercial fisheries. "There is growing evidence that the North Pacific Ocean is totally overcrowded with hatchery fish and that is having real impacts on wild salmon," he said. Data from the North Pacific Anadromous Fish Commission show that Canada, Japan, South Korea, Russia and the United States released 5.2 billion salmon from hatcheries into the Pacific last year. Hatcheries have many supporters. One is author and former commercial fisherman Eric Wickham, who argues that British Columbia is not producing enough hatchery fish and that's why stocks are depressed. Alaska released 1.6 billion hatchery fish last year, he notes, while B.C. released 294 million. "Alaska caught 260 million salmon this year, while the numbers for British Columbia are less than 10 million," he stated in an e-mail. He called on government to "do what our neighbours have done and be more generous helping the salmon in their critical period of spawning." The role of hatcheries has been under scrutiny for years and the research of Michael Blouin, a professor of integrative biology at Oregon State University, is often cited by those who feel artificially reared fish are an environmental threat. But Dr. Blouin said in an interview that his work is sometimes spun by the critics of hatcheries. "[Hatcheries] are always going to have ecological effects. There's no getting around that, but I really hate to opine on the greater issue of whether hatcheries should be there or not," he said. "People have taken our work and made comments that made me cringe, like you know, 'Well here's more data showing that hatcheries should be shut down' or 'Hatcheries are a failure,' and I'm like, uh, that isn't really what we said." What he has shown is that wild fish and hatchery fish are different at the DNA level. Dr. Blouin's most recent study found 700 genes are expressed differently in hatchery fish, giving rise to a theory that hatchery fish are adapting to the unnatural crowding that takes place in hatchery tanks. In nature, juvenile wild salmon are more solitary and hardier. But they may not survive if overwhelmed with a flood of "inferior" hatchery fish. Despite such concerns, DFO spokesman Dan Bate said the government is committed to hatchery operations in British Columbia. "DFO supports salmon hatcheries as a tool in the federal government's efforts to conserve, rebuild and manage Pacific salmon stocks. The department continues to evaluate and refine its hatchery operations using new, relevant information to ensure maximum benefits for fisheries and wild stocks," he stated in an e-mail. "Since the beginning of its hatchery program in the 1970s, the department has taken steps to address concerns about the potential impact of hatcheries on wild stocks," he said. "DFO follows guidelines and operating practices designed to minimize genetic and ecological impacts on wild-salmon populations. A key goal is to minimize genetic divergence of a hatchery population from the existing local wild population." An evaluation of SEP completed last year by the DFO concluded that "there is a continued need" for the program, which gets about $26-million a year in federal funding. SEP is trying some new approaches. One method being studied, in conjunction with Carol Schmitt of privately owned Omega Pacific Hatchery Inc., involves raising juvenile chinook in a more "natural" way, mimicking stream conditions. By using colder water, providing less food and holding juvenile fish a year longer before release, Ms. Schmitt has more than doubled survival rates. British Columbia runs a much smaller program for freshwater fish through the independent Freshwater Fisheries Society of B.C., which operates eight hatcheries, releasing more than eight million trout, char and kokanee salmon into 800 lakes. Tim Yesaki, vice-president of operations for the society, said freshwater fisheries managers "have really been proactive in trying to reduce the impact of hatchery fish on wild fish populations," and has taken note of Dr. Blouin's latest research. "We've been monitoring the literature and up until this study, we were quite well aware of the genetic impact of hatchery fish, or the potential impact. However, the results of this study are more acute – within one generation. So it's on our radar screen. We're definitely looking at ways to mitigate the effects," he said.